Growing up as the middle child of five, responsibility came to me at a young age. After my father's early death, my mother juggled her schedule to raise our family while working multiple jobs to support us. These early experiences taught me that life can be very unpredictable. This was the basis and prism through which I saw the importance of financial well-being, and ultimately the foundation for my desire to help others secure their financial futures. 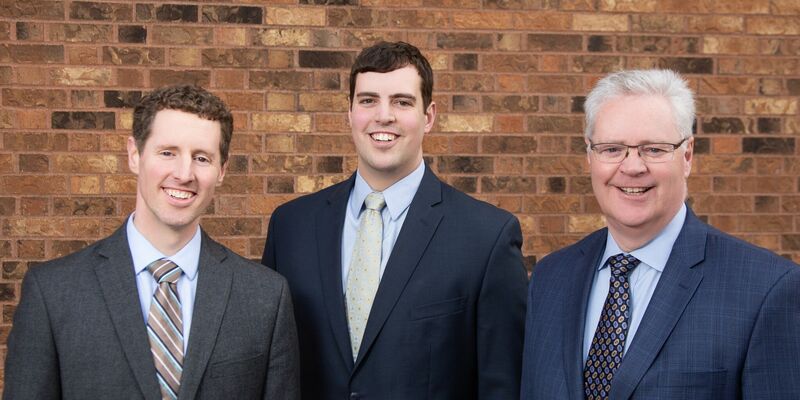 Fast forward 35 years and you will find the business that I started in 1980 has grown to include two of my sons, Adam and Andrew, working to help deliver first class financial advice with the personal touch our clients have come to expect. Helping clients manage investments, provide for a legacy, utilize tax gain/loss harvesting and personalizing retirement income strategies continue to be our process in the foundation for successful relationships. The past 35 years have taught me that we share similar goals... enjoy today, prepare for an unpredictable tomorrow, and provide for our families as efficiently and effectively as possible. act as your agent, putting your interests first. propose strategies customized to your situation. update you by email, mail, and phone. meet with you at least once a year to review and update your plan. We expect you to understand that our recommendations are always based on your best interest. As our client, you need to know that all investment, tax, estate, and insurance advice will be based on the information that you provide to us. Finally, we expect you to participate enthusiastically in the investment planning process. Working together is essential to effective investment planning. To this end, we both need to make your financial strategies a priority. agree to keep each other informed of any new developments that might affect these strategies. agree to take the time to regularly review your financial plan. both be honest and forthcoming about your financial situation. work to develop mutual trust, respect, and understanding. We understand that life can be unpredictable and financial positions can change dramatically. Whether it be from losing a spouse, a recent inheritance, retirement, a costly health emergency, or you are uncertain with current advice, our second opinion service is designed to help you decide if new direction and fresh insight is needed. At our initial meeting we will have a personal, face-to-face discussion to gain an understanding of your specific concerns, your short and long-term goals, and what is most important to you. During our second meeting we will discuss your original concerns, your current overall plan, and review our recommendations. If we mutually feel it beneficial, we can discuss next steps for an ongoing relationship. Helping you enjoy today, prepare for an unpredictable tomorrow, and provide for your family as efficiently and effectively as possible. Investments can play a key role in your financial security plan. A mix of qualified and non-qualified savings can help word hard towards your goals. Gary Russell is Founder and Director of Russell Wealth Advisors. His career as an Advisor began in 1980 working a summer internship position at a national financial services firm. That summer internship proved to be more successful than he ever imagined and allowed Gary to make a career choice that has now spanned over 35 years. With the focus on serving his clients’ best interests and a burning desire to learn and grow intellectually, Gary has advanced his education with The American College, The College of Financial Planning, The Institute of Business & Finance, The Wharton School of Business, and The Yale School of Management. During Gary’s continued studies, he has obtained the following academic credential: Chartered Retirement Planning Counselor (CRPC®), Certified Fund Specialist (CFS®), Chartered Financial Consultant (ChFC®) and Chartered Life Underwriter (CLU®). He also holds the Series 7, 24, and 63 registrations through LPL Financial. His passion for his clients continues as he uses his experience and knowledge to help many 2nd and 3rd generation clients that have witnessed first-hand the value of working with an Advisor. While Gary continues to enjoy his days at the office, he takes time for his family and other hobbies around his acreage. Gary finds great joy in spending time with his grandchildren at his cabin cooking hotdogs, roasting marshmallows, and watching movies. With the best of times just listening to their views of what is important in the world. Adam is an Iowa State University alumnus with a Bachelor of Science degree in Business Management. Immediately after his ISU graduation Adam moved to Colorado where he enjoyed living in the high country, hiking and climbing in the mountains as often as possible. It was during this time that Adam's interest in business and finance grew and then decided to accept an offer to join his family's business and move back to Iowa. The Great Recession of 2007-2009 was Adam's initiation to the financial services industry. This trying time provided a great deal of knowledge and understanding of the financial markets and their instruments. Working with his father during this time further provided Adam with insights about how important the guidance of a financial professional is in helping clients understand their personal situations. Adam holds his Series 7 and 63 licenses through LPL Financial, and Series 65 through Russell Wealth Advisors. Adam's personal life is spent in Boone with his family: Jessica his wife and their three daughters Taryn (7), Payton (4), and Jadyn (1). It is tough to say where they will be any given evening or weekend, but the best bet is they will be outside somewhere. Whether it is camping, canoeing, out for a walk or roasting marshmallows in the backyard, they stay busy and enjoy nature to the fullest. Andrew Russell's desire to be in the financial services industry started while he was a young adult, when he saw how much clients appreciated the services his father was providing. With a goal to ultimately be in the financial services industry Andrew attended Iowa State University with a focus on business and communication. During his Junior year at ISU, Andrew strengthened his position to be in the financial industry when he worked with Northwestern Mutual as a College Financial Representative. During his time at Northwestern, Andrew learned skills that would help him better assist clients in pursuing their financial goals. Upon graduating from Iowa State University, he joined Russell Wealth Advisors. Andrew holds his Series 7, Series 6, and Series 63 licenses through LPL Financial, and Series 65 license through Russell Wealth Advisors. While out of the office Andrew enjoys spending his time learning to fish. He also enjoys watching the Iowa State Cyclones, golfing, and traveling as much as possible.